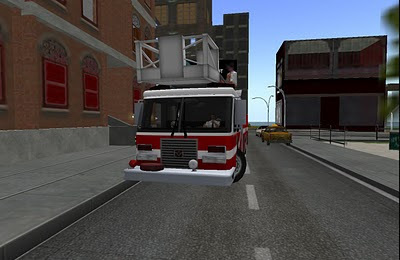 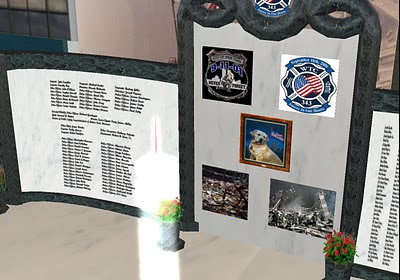 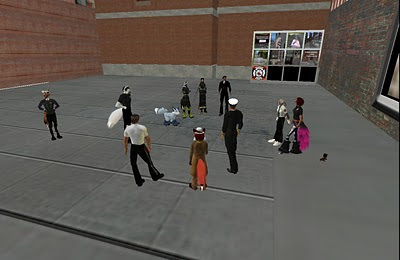 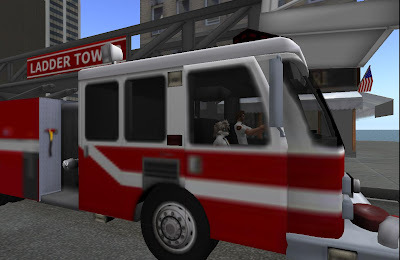 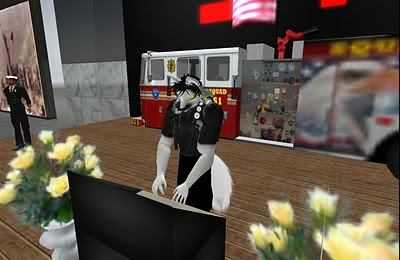 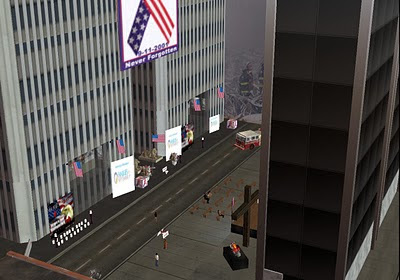 The 9-11 ceremonies at the New York City Block, the NYC sim, had a number of pictures taken of them. 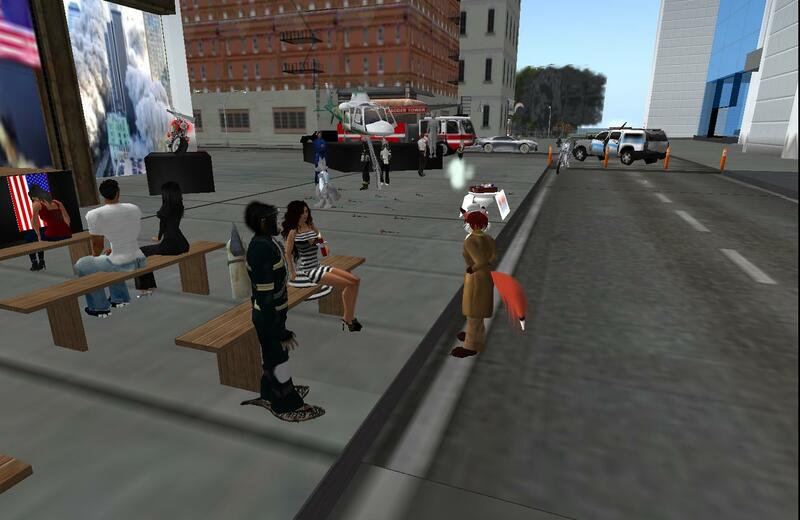 Here are several of them to help better show the events of the day. 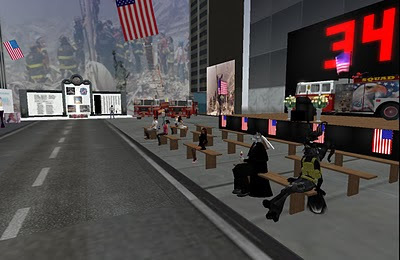 A view of the permanent Twin Towers Memorial and the seating from above before the event. A closer look at the memorial to the fallen policemen. NYC owner, and native Brookliner, Cheri Bing and SLFRD firefighter Naxos Loon. Taking the hook and ladder out for a test drive before the parade. Another view of the hook and ladder. 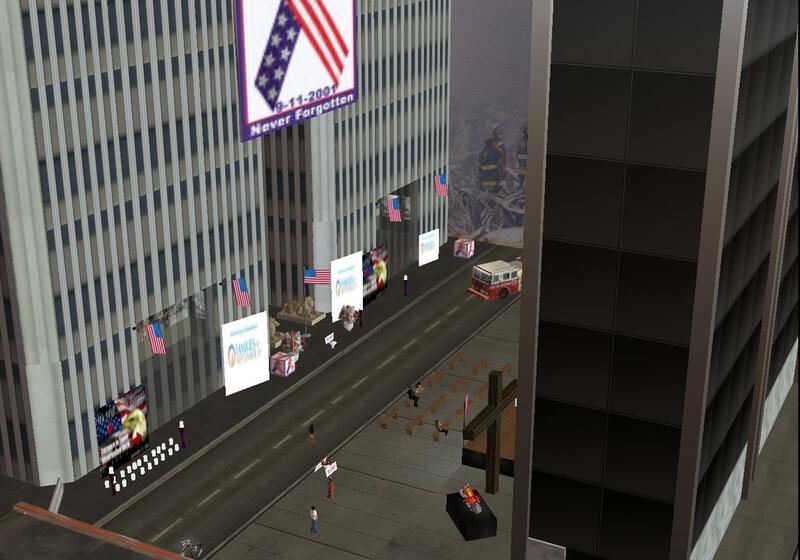 A bird's eye view of the commemoration. 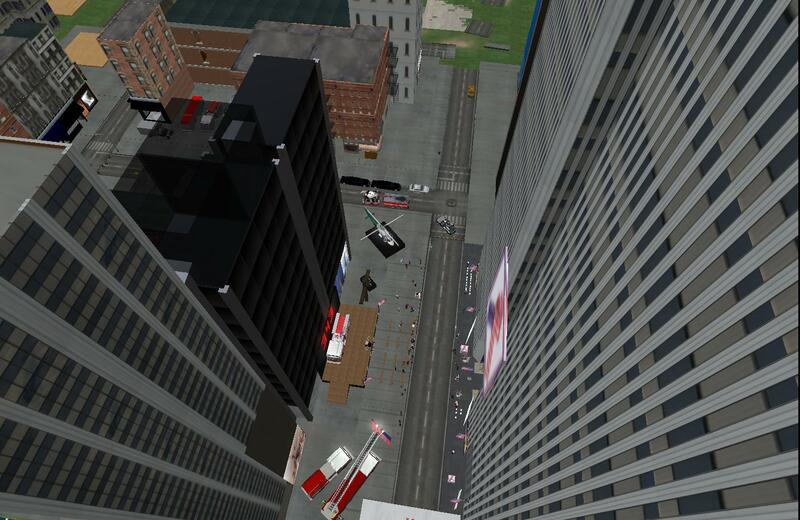 The parade of fire trucks passes the corner. Several firefighters gather after the parade to share stories. 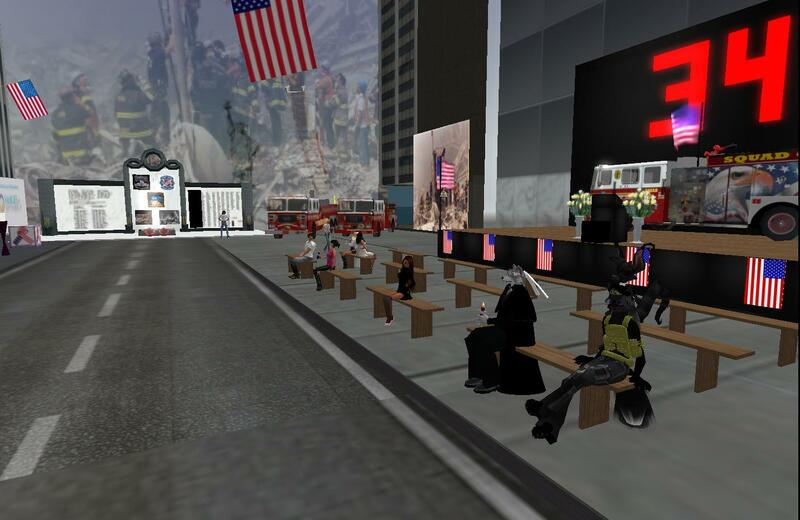 Following the end of the commemoration, people continued to come over and pay their respects.